The NFL draft comes to a stunning conclusion, but not before From The Benches has something to say about it. The guys go through every pick from Day 3. Some picks have excitement others are met with disdain. At the end of the show the guys discuss their favorite and least favorite pick of the draft. 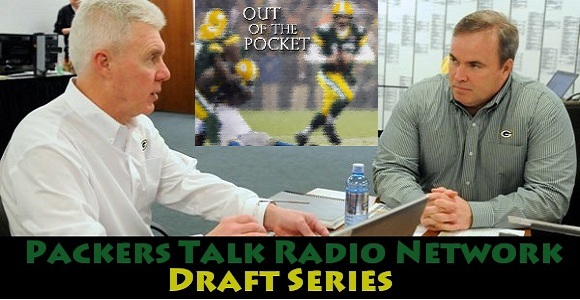 Following that discussion the guy ask what their favorite part of the roster is, and what position worries them the most going into the 2014 season It is another great new episode and the final recap of the NFL Draft! 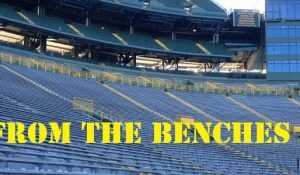 This entry was posted in From The Benches, Packers 2014 - 2015 Season and tagged 2014-15 season, Carl Bradford, Corey Linsley, Demetri Goodson, from the benches, Jared Abbrederis, Jeff Janis. Bookmark the permalink.